Form 8-K for DJSP ENTERPRISES, INC. Item 3.01 Notice of Delisting or Failure to Satisfy a Continued Listing Rule or Standard; Transfer of Listing. DJSP Enterprises, Inc. (the “Company”) today announced that it has notified The NASDAQ Stock Market LLC (“NASDAQ”) of its intent to voluntarily delist its ordinary shares, warrants, and units from the NASDAQ Global Market and deregister its ordinary shares, warrants, and units under the Securities Exchange Act of 1934, as amended (the “Exchange Act”). In connection therewith, the Company notified NASDAQ of its intention to file, on or about March 18, 2011, a Form 25 with the Securities and Exchange Commission (the “SEC”) to voluntarily delist the ordinary shares, warrants, and units. The ordinary shares, warrants, and units will continue to be listed through March 28, 2011 and will no longer be listed thereafter. The Company also announced its intention to file a Form 15 with the SEC on or about March 28, 2011, in order to terminate the registration of the ordinary shares, warrants, and units under Section 12 of the Exchange Act and to terminate its reporting obligations under the Exchange Act. A copy of the press release announcing the Company’s intention to delist and deregister the ordinary shares, warrants, and units is furnished as Exhibit 99.1 hereto and is incorporated herein by reference. Item 9.01. Financial Statements and Exhibits (d) Exhibits. 99.1 Press release, dated March 8, 2011. 6 records relating to that client in these files? 10 Q. Okay. What system would MERS be in? 11 A. MERS isn’t in the system. 12 Q. They’re not? What about GMAC Mortgage, LLC? 15 the clients, for your clients? 16 A. It depends upon the client. 17 Q. Can you give me some examples of the systems? 19 those are the two that I have used. 20 Q. And you’ve also used NewTrack? 25 scheduled, when service is complete for the clients. 5 A. When complaints are filed, yes. 11 A. Not to my knowledge. 3 Q. So you do not read them? 4 A. They’re checked by an attorney before I sign. 5 Q. So you rely on the attorney? 10 what does that mean? 11 A. The address of the servicer. 16 of for this file at the time. 17 Q. And GMAC is the servicer? 21 A. That’s an address. 2 execute the assignments of mortgage? 5 Q. So you don’t review them yourself? 6 A. No. It’s been reviewed by the attorney. 11 Electronic Registration System; is that correct? 18 A. We have power of attorney. 19 Q. And what does that mean? 22 Q. And did you obtain that power of attorney? 23 A. No, I did not. 24 that I handed to you, the Lis Pendens and complaint. 3 A. It says MERS. 15 A. I don’t know. 17 mortgage prior to executing the assignment? Whatcha Gonna Do Mr. White Shoe Boy When the American Lion Comes for You? It didn’t surprise me that he blew away the kneecap so much as the totally uncaring, nonchalant attitude he took towards the action. It was as if he were telling one of his tenants they were responsible for a late payment. Totally emotionless, you’re a mark in a book. ‘Oh, it says here I blow your kneecap off. *bang* Scratch that one, what’s next on the list?’ That’s not like him. I know him as a man of great compassion but all of that was gone as he thought of dealing with the ones responsible for ripping off the whole country for their personal aggrandizement. There is a seething anger in this country and them that are responsible best take heed. If Mr. Geeai can seriously consider blowing off a kneecap … and then consider what might be appropriate punishment … then there is real trouble brewing. Mr. Geeai is as laid back as they come. There was a MERS story this past week from www.wallstreetoasis.com. Wall Street Oasis bills themselves as a place where “monkeys” (their terms, not mine) from investment banks, hedge funds and private equity firms can come to relax, trade barbs & quips, rant, and generally find an outlet for the frustrations built from breathing the rarified air of corporate finance. In order to comment on any of their blogs, you have to be a member and in order to become a member, you have to fill out an exhaustive series of questions such as, where did you go to school? Where did you get your MBA? What was your GPA? I was reminded of standing in the little boy’s room in grammer school competing with all of the other boys to see who could step the furthest away from the urinal and still arc a flow into the bowl. Doug Jones was the best at two steps away from the back wall, his closest competition was four but then Doug was the best athlete on the playground so we weren’t surprised. We were awed. Qualifications to become a member of Wall Street Oasis are just as meaningless as arcing a flow into the urinal if you ask me. I suppose some people are in awe just like I was with Doug Jones but I’ve grown up a bit since then. I digress. DJSP Enterprises Inc. (DJSP) appointed mortgage-industry veteran Richard D. Powers as president and chief operating officer, overseeing day-to-day operations of the Florida-based provider of mortgage and real-estate processing services. “His strong management experience will help shape DJSP as we continue to establish ourselves as a provider of services to the mortgage industry for the life of the loan,” said Stern, who had held the president’s post. Mr. Powers most recently was head of real-estate services at Altisource Portfolio Solutions SA (ASPS). Previously he was an executive in the mortgage operations of GMAC LLC, which has dealt with billions of dollars of losses the past several years, and was president at KB Home’s (KBH) mortgage unit. DJSP Enterprises Inc. has recently caught the attention of several high profile law firms. On June 14, 2010 the class action law firm of Statman, Harris & Eyrich, LLC announced it was investigating DJSP Enterprises, Inc. (“DJSP” or the “Company”) (DJSP 6.29, +0.04, +0.64%) for potential violations of state and federal securities laws. The affected stock was purchased between March 11, 2010 and May 27, 2010. Then on June 28, 2010 Kaplan Fox & Kilsheimer LLP (www.kaplanfox.com) announced it has been investigating DJSP Enterprises (“DSJP” or the “Company”) (Symbol: DJSP) for potential violations of the federal securities laws. Investors who purchased Company securities since April 1, 2010 may be affected. These investigations are still pending. SFF posted how DJSP is going to begin to run the “Deed In Lieu” for an undisclosed servicer. Is this the opening door to fend off the millions of foreclosure fraud that are being presented in many courts?? Is this they’re way of “taking care of business” prior to any foreclosure? Go here to see Law offices of David J. Stern as a retained attorney for Fannie Mae. NOTE: almost all Mills are on this list. Fannie Mae will make it easier for some struggling homeowners to buy houses in the future if they avoid foreclosure in the present. Under rules released this month that will take effect in July, some troubled borrowers who give up their homes by voluntarily transferring ownership through a “deed in lieu of foreclosure” or by completing a short sale, where a home is sold for less than the amount owed, will be eligible in two years to apply for a new mortgage backed by Fannie. Currently, borrowers who complete a deed-in-lieu of foreclosure must wait four years before they can take out a loan that Fannie is willing to purchase. The new policies from Fannie, a government-backed mortgage-finance company that together with Freddie Mac backs about half of the U.S. mortgage market, don’t relax waiting periods for borrowers who go through foreclosure. In 2008, Fannie lengthened that waiting period to five years from four. To quality for the reduced waiting period, most borrowers will need to make a down payment of at least 20%, although borrowers with extenuating circumstances, such as a job loss, will be required to put down just 10%. Even if waiting periods are shortened, many borrowers may be unlikely to repair their credit that quickly in order to get a loan in the first place. Foreclosures and short sales generally have the same effect on a borrower’s credit score and can stay on a credit report for up to seven years. 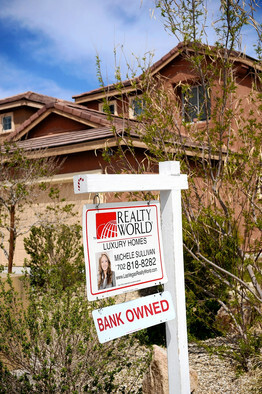 The new rules are designed to make foreclosure alternatives more attractive to borrowers at a time when the Obama administration is ramping up its effort to encourage banks to consider alternatives such as short sales. That program sets pre-approved terms for short sales and offers financial incentives to borrowers and lenders to complete such sales. Freddie Mac requires borrowers to wait five years after a foreclosure and four years after a short sale or deed-in-lieu. Those periods can fall to three years for a foreclosure or two years for a short sale when borrowers show extenuating circumstances. Officials at the Federal Housing Administration, the government mortgage insurer, say they are considering changes to their rules, which require borrowers with a foreclosure to wait at least three years before becoming eligible for an FHA-backed loan. “We are beginning to think about post-recession, how you address borrowers who became unemployed through no fault of their own … and now deserve the right to re-enter the housing-finance system,” said FHA Commissioner David Stevens. DinSFLA: DOUBLE DUH! Beginning to think?? A little too late. But some worry that policies enabling defaulted borrowers to more quickly resume homeownership could encourage more people to default. “We don’t want to say that there’s a ‘get out of jail’ card during recessions to walk away from your house,” Mr. Stevens said. DinSFLA: Exactly who is getting the “GET OUT OF JAIL CARD”?? In December, the FHA unveiled rules for borrowers who completed a short sale. Those who have missed payments prior to completing a short sale or who didn’t face a hardship and simply took advantage of declining market conditions to buy a new home must wait three years. The PROOF is in coding…Figure this one out! PLANTATION, Fla., April 21 /PRNewswire-FirstCall/ — DJSP Enterprises, Inc., (Nasdaq: DJSP) one of the largest providers of processing services for the mortgage and real estate industries in the United States, today announced that it has been selected to process files for a national mortgage lender, one of the country’s top mortgage servicers, to be one of the primary vendors supporting its national foreclosure alternative program. DJSP will process files for this national mortgage servicer’s national “deed in lieu” initiative, a major component of its foreclosure alternative program, which is designed to help homeowners who are behind in their mortgage payments transition out of their homes without having to go through the foreclosure process. The closing of the previously announced acquisition of Timios, Inc. is subject to customary due diligence, closing conditions and regulatory approvals. DJSP is the largest provider of processing services for the mortgage and real estate industries in Florida and one of the largest in the United States. The Company provides a wide range of processing services in connection with mortgages, mortgage defaults, title searches and abstracts, REO (bank-owned) properties, loan modifications, title insurance, loss mitigation, bankruptcy, related litigation and other services. The Company’s principal customer is the Law Offices of David J. Stern, P.A. whose clients include all of the top 10 and 17 of the top 20 mortgage servicers in the United States, many of which have been customers for more than 10 years. The Company has approximately 1000 employees and contractors and is headquartered in Plantation, Florida, with additional operations in Louisville, Kentucky and San Juan, Puerto Rico. The Company’s U.S. operations are supported by a scalable, low-cost back office operation in Manila, the Philippines that provides data entry and document preparation support for the U.S. operation. This press release contains forward-looking statements within the meaning of the Private Securities Litigation Reform Act of 1995, about DJSP Enterprises, Inc. Forward looking statements are statements that are not historical facts. Such forward-looking statements, based upon the current beliefs and expectations of the Company’s management, are subject to risks and uncertainties, which could cause actual results to differ from the forward looking statements. The following factors, among others, could cause actual results to differ from those set forth in the forward-looking statements: business conditions, changing interpretations of generally accepted accounting principles; outcomes of government or other regulatory reviews, particularly those relating to the regulation of the practice of law; the impact of inquiries, investigations, litigation or other legal proceedings involving the Company or its affiliates, which, because of the nature of the Company’s business, have happened in the past to the Company and the Law Offices of David J. Stern, P.A. ; the impact and cost of continued compliance with government or state bar regulations or requirements; legislation or other changes in the regulatory environment, particularly those impacting the mortgage default industry; unexpected changes adversely affecting the businesses in which the Company is engaged; fluctuations in customer demand; the Company’s ability to manage rapid growth; intensity of competition from other providers in the industry; general economic conditions, including improvements in the economic environment that slows or reverses the growth in the number of mortgage defaults, particularly in the State of Florida; the ability to efficiently expand its operations to other states or to provide services not currently provided by the Company; the impact and cost of complying with applicable SEC rules and regulation, many of which the Company will have to comply with for the first time after the closing of the business combination; geopolitical events and changes, as well as other relevant risks detailed in the Company’s filings with the U.S. Securities and Exchange Commission, (the “SEC”), including its report on Form 20-F for the period ended December 31, 2009, in particular, those listed under “Item 3. Key Information – Risk Factors.” The information set forth herein should be read in light of such risks. The Company does not assume any obligation to update the information contained in this press release.